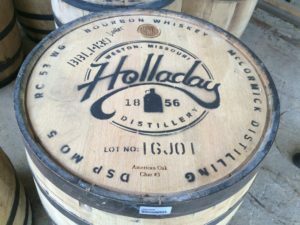 Both attorneys for Brydon, Swearengen & England, as well as shareholders, Charles Smarr and Paul Boudreau recently visited the premises of McCormick Distilling, which began business as Holladay Distillery in 1856. The business is located in beautiful Weston, Missouri, which is located north of Kansas City. McCormick Distilling recently brought back into operation the bourbon still and they are systematically filling a rack house where the product will age in charred oak barrels made in Lebanon, Missouri. Charlie and Paul were treated to an excellent tour of the premises at which time the process of bourbon production was explained.